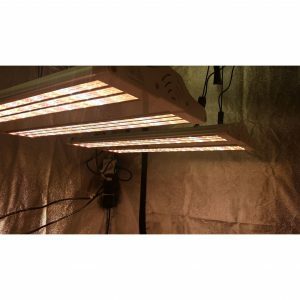 Home » Electric Sky LEDs: The Next Generation of Grow Technology? Today we’re profiling a new type of LED light to come on the market from The Green Sunshine Company. The owner, Dan, reached out to me and we got on the phone to talk about the tech. He actually helped me understand plant biology and lighting at a deeper level, which prompted me to write this piece today. He even showed me some interesting results in his HPS vs. LED grow timelapse, which was yet another reason for me to take a deeper look at his lights. Plus…I love lighting technology. I’m a total nerd about it. So I couldn’t resist diving in! I’ll be looking at the Electric Sky lights, but before I do that I have to get into some mythology that is often spread by LED lighting companies. This is one of the reasons you see purple LEDs everywhere. You’ll often see LED companies that manufacture older narrowband units display a chlorophyll A/B absorption graph when touting their purple LEDs, showing that they are giving plants the exact spectrum that they can absorb. While this sounds great on the surface, in reality it’s a bit of a marketing trick. LED companies are most efficient at creating red (~650nm) and blue (~450nm) diodes, so it’s no surprise they use the chlorophyll A/B charts. In reality, a leaf is absorbing much more than just red and blue light. Green and yellow light in the 500-600nm range is being absorbed by leaf tissue as well. Different parts of a plant’s leaf absorb different portions of the spectrum. Chloroplasts, which are the centers of photosynthesis, are taking in quite a bit of green, yellow, and orange light. So much for green light “bouncing” right off of plant leaves, huh? 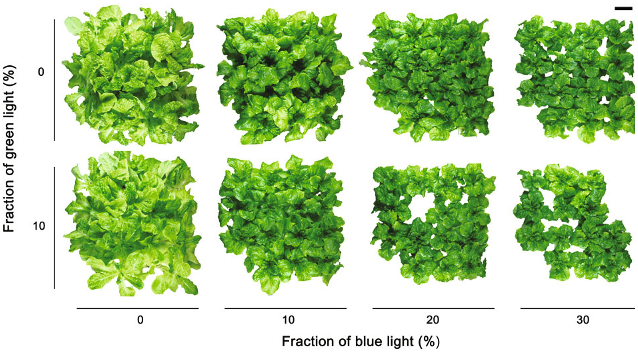 How lettuce reacts when exposed to different percentages of blue and green light. 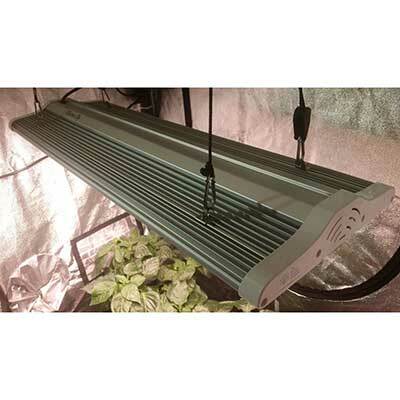 This is an outdated lighting “fact” that comes from the time when growers would use Metal Halide grow lights for vegetative stage and High-Pressure Sodium lights for the flowering phase. 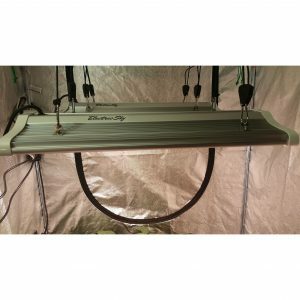 Technically speaking, neither MH or HPS lights are designed for plant growth, but they are more suited towards their respective phases. LED companies have mimicked this by offering different modes, often going as far as to create toggles on their lights in order to switch between blue and red diodes. This is often a mistake as we’ve already discussed how plants use much more than a single band of the light spectrum throughout all phases of growth. After all, they normally grow under the sun! There are many more myths about LED lighting and perhaps I’ll do a full breakdown of those in a future article, but for now let’s get on to the Electric Sky lights. The first and most interesting thing about the ES lights are the linear lenses. They’re called “Electric Sky” lights because they’re designed to mimic a miniature version of the sun’s output versus being a point-source of light like many LED designs. They put out a precise rectangle of light due to these linear lenses, which to my knowledge have yet to be used in grow lighting. The goal is to project the light out and down, rather than all-down (as you’d see in a spotlight) or all-out (as you’d see with no lenses). Here’s a charge comparing the intensity and height placement as compared to normal LEDs. As you can see, you get a larger sweet spot of light intensity and you’re able to place the light closer to the plant canopy. Based on the inverse square law of light and hydroponics, we know this means better plant growth due to increased intensity! Hotspot elimination and closer placement to plant canopy. While the exact details of the GS1 spectrum are proprietary, it’s designed using wideband LEDs and claims to improve on both purple LEDs and white LEDs. It adds a significant amount of red and infrared. When I asked Dan, he mentioned that people tend to analyze plant absorption of light based on individual spectrum ranges, when in reality there is a combinatoric effect at play. 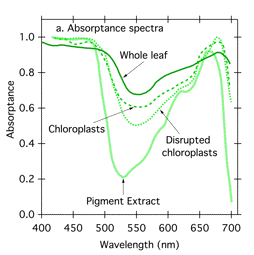 That is to say, when given certain spectra, a plant may use more or less of another spectral range in response. It’s a complex topic that scientists are still learning a lot about! The issue with purple LEDs is that they have a hard time penetrating into the canopy, because what they do is give plants exactly what they absorb. This means the upper parts of the plant will block light from penetrating the canopy. The issue with white LEDs is that, while they penetrate the canopy more, they but they are lacking in red and infrared light, which are vital for vegetative growth (despite what some believe) and also good flowering results. 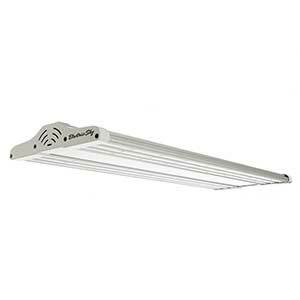 This is the smaller model, at 180 “true” watts, NOT an HID equivalent wattage. 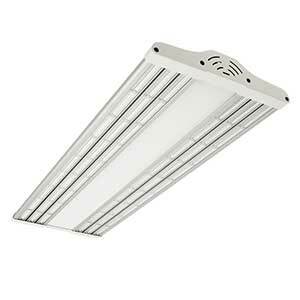 That means you get what you see on the spec sheet, which is a nice change for an LED company. This is the cream of the crop model at 300w. It’s able to grow just about anything you can grow indoors, from vegetative plants like basil and lettuce all the way through peppers, tomatoes, and other plants that are heavy fruiters. All in all, I’m super excited about this type of evolution in the LED lighting market and I can’t wait to get my hands on one of these models myself soon. 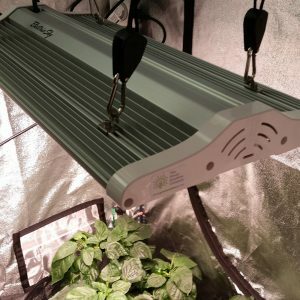 When I do, I’ll be conducting a full pepper grow with it and giving away some of my old lights (a man can only have so many!). This article was sponsored by The Green Sunshine Company. Sponsorship of an article does not guarantee a favorable review. Please see my review policy here for more details.